The government in Nigeria recently negotiated the release of 82 young women. All 82 were students three years ago when Boko Haram militants raided their school in the northeastern Nigerian town of Chibok. The militants kidnapped 276 schoolgirls in all. Today Nigeria's Ministry of Women Affairs is caring for a total of 106 freed Chibok girls in the capital, Abuja. Boko Haram released most of them during a prisoner exchange last month. Others were freed in October after negotiations. Three of the girls escaped. The ministry is providing skills training and educational classes to the young women. They are also receiving psychosocial support. Women Affairs Minister Aisha Jummai Alhassan spoke about the young women at a recent event in Abuja. She said the government hopes they can return to school, possibly in September. "They are going back to school because they had aspirations," said Alhassan. "That was why their parents put them in school from where they were abducted. When they stabilize and when they recover, we will still put them back to school." The government said the Chibok girls will not return to their former school. The girls' families and some activists have criticized the decision. But the government says it is protecting the young women. Officials are also closely watching the girls' progress as they take part in recreational activities and weekly religious programs. They also are taking classes in biology, English and mathematics. The girls are expected to be in the rehabilitation program for nine months. Allen Manasseh is a member of the Bring Back Our Girls group. He spoke with some of the young women at their rehabilitation center. "Wherever they are, the fact that they are not with the terrorists is considered OK for them," he said. Manasseh told VOA the women are healthy. But more than 100 other Chibok schoolgirls are still missing. That number includes two of his cousins. Foreign governments and aid groups are helping the former kidnap victims. The Canadian government recently gave health care products and clothing to the girls. They smiled when they were given the items, but they did not make any statements. Christopher Thornley is the Canadian High Commissioner to Nigeria. 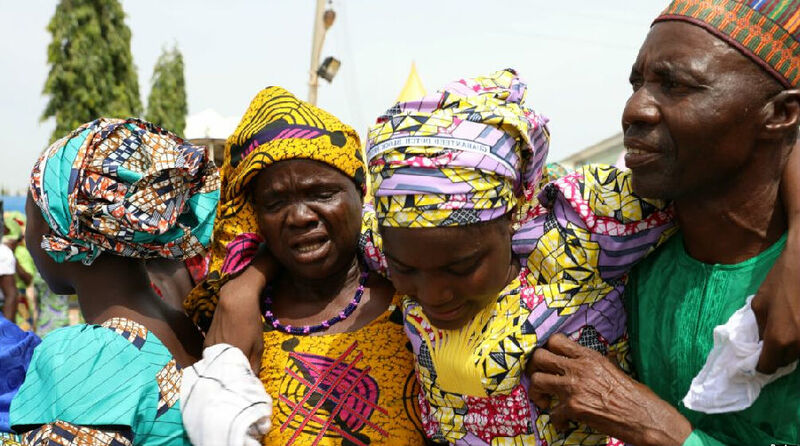 "The Chibok Girls are symbolic of a vast humanitarian challenge affecting millions of lives. This is why Canada has stepped up this year to provide $27 million to U.N. agencies and NGO partners for humanitarian assistance in the Northeast. This includes $2 million that we have provided to UNFPA to support the Chibok girls as well as its interventions in the Northeast." The raid on Chibok by Boro Haram was the largest and most famous kidnapping in the group's history. The Nigerian government says it continues to negotiate with Boko Haram to gain the release of the missing schoolgirls. There was evidence that thirteen people in all had taken part in planning the murder. Aid groups say thousands of Japanese families are living under the poverty line. In general, ask more questions than you make statements. Out of a total of 2,602 pupils only 922 passed the test. 1.This is why Canada has stepped up this year to provide $27 million to U.N. agencies and NGO partners for humanitarian assistance in the Northeast. Activists stepped up their demands for local autonomy last month. 2.This includes $2 million that we have provided to UNFPA to support the Chibok girls as well as its interventions in the Northeast."